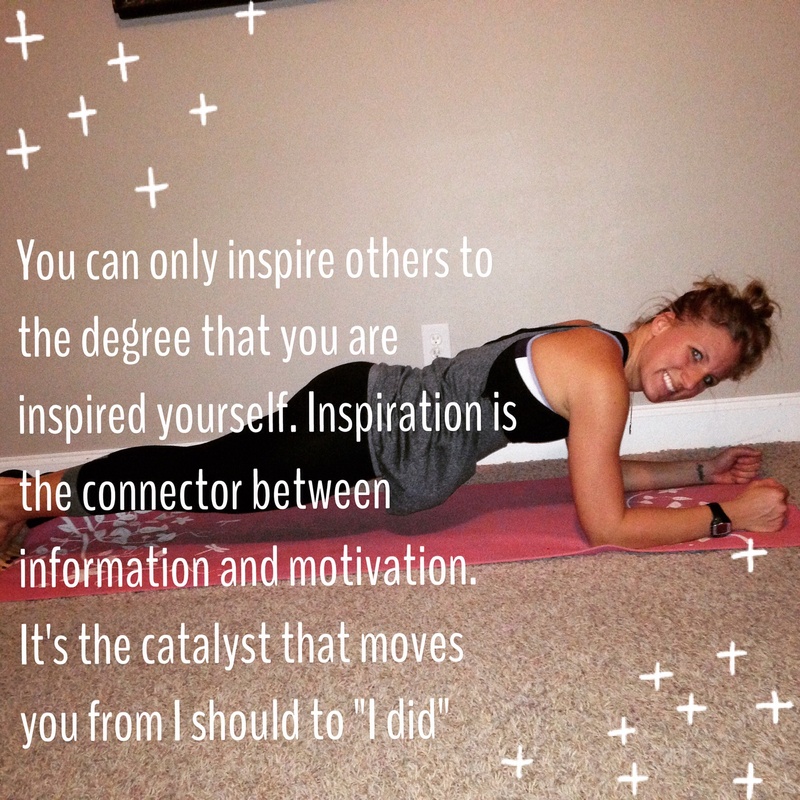 Welcome to Nutrition Tip Tuesday in the Live Fit Community. What is it about the holidays that sends my appetite desiring more. Maybe it’s because so much time during the holiday season is centered around food and celebration. I personally feel when I am more active in the summer months and on the go I’m not reaching for that midnight snack that I often reach for in the winter. Over the years I have developed a little bit of a strategy to propel me through the holidays and winter months and it’s about this time each year that I start to implement it again, when I am feeling like that 10pm snack is sounding pretty stinking good. Here are a few simple steps that help me eat smart during the holidays. These tips allow me to celebrate our savior being born, enjoy family, delicious food, and not focus on what I shouldn’t have ate at holiday meals. Tip 1: This visual aid is a great reminder of how to eat smart this holiday season. 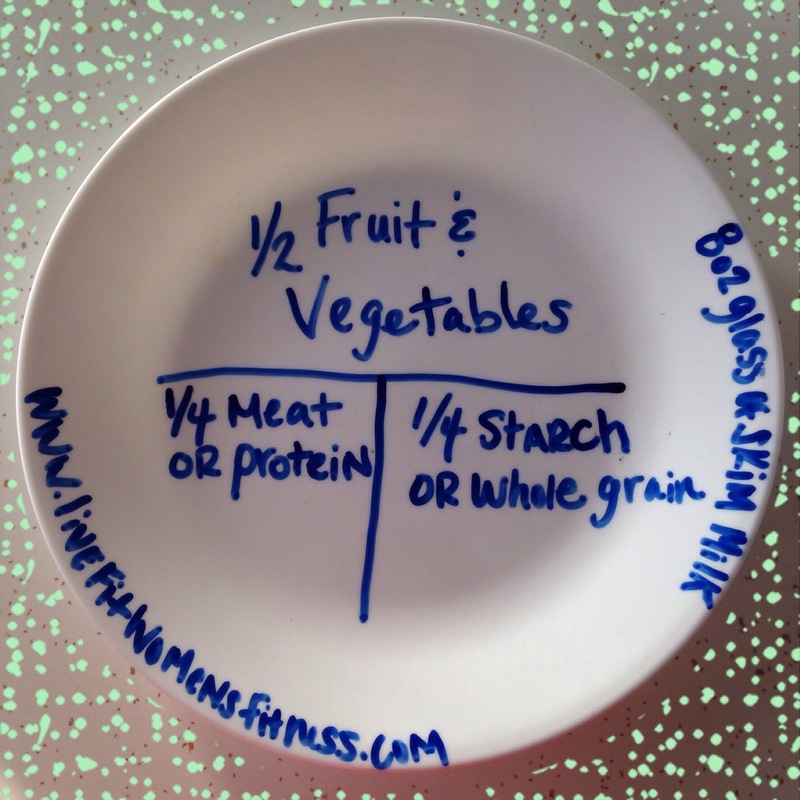 You can create one on your own with using a plate/paper plate and a dry erase marker. 1/2 of your plate should consist of fruit and vegetables. 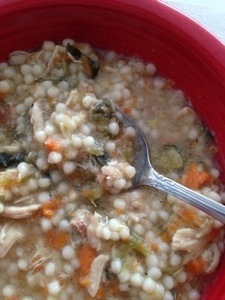 1/4 meat or protein and 1/4 starch or whole grain. Often times at meals we end up filling 1/2 our plate with starch and 1/2 the plate with protein. Tip 2: Avoid eating two hours after dinner and two hours before bedtime. This can help with unnecessary cravings. I have really noticed over time I don’t have them anymore after consistently giving up eating after dinner for 2 weeks. Tip 3: Eat to nourish your body. If you are feeling like you want to fill your plate for seconds drink an 80z glass of water and see if you still feel hungry after. If there are appetizers, holiday drinks, and dessert consider these calories before grabbing a second plate. I am a big believer in eating in moderation. I love dessert so I will cut back on appetizers and bread with my meal. Tip 4: With the hustle and bustle of the holiday season don’t forget to eat breakfast, it helps start your metabolism and try to eat it within one hour of getting up each day. Plan your meals I talk about my meal rotation plan: here:https://livefitwomensfitness.com/2014/04/04/egg-steak-and-rice-stir-fry-cook-with-michelle-thursday/ This will help when you are busy and on the go (having healthy snacks to keep on hand (nuts, granola, smoothies, veggie trays). These healthy snacks preventing you from reaching for that (bag of chips or crackers). They prevent unneeded stops in which you may be hungry which could cause overeating, picking up things that are unnecessary and fast food trips. Below is a picture of a really quick meal I made. My husband is remodeling our kitchen and I honestly wanted to eat a burger and fries. It’s so chaotic in our kitchen area currently, some days it’s so hard to cook. Instead of heading out to grab fast food I made homemade burgers on the stove grilled in a little bit of evoo. 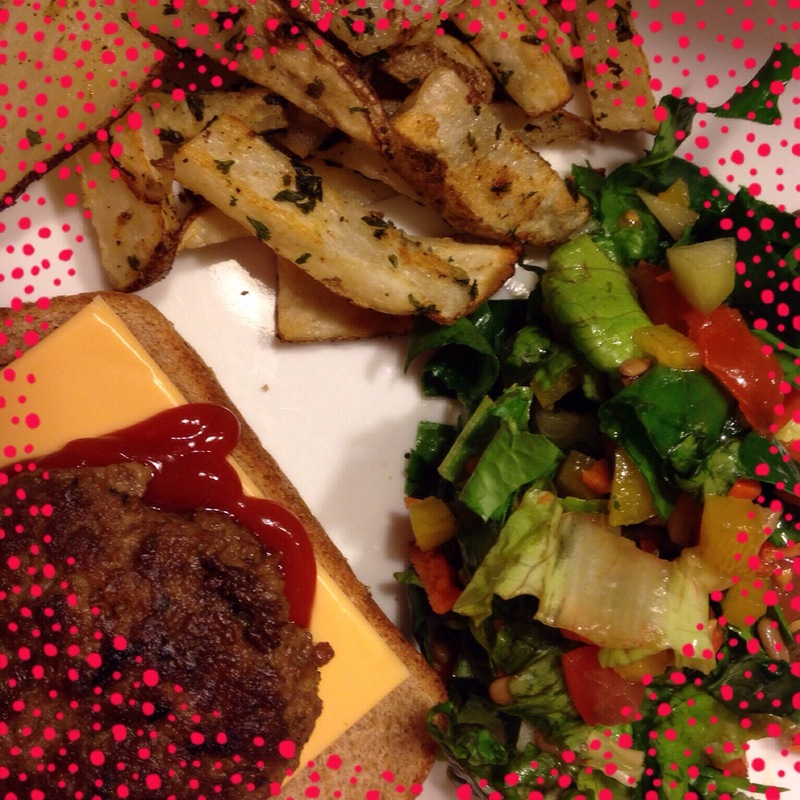 I have a half open sandwich since we were eating homemade fries. For the fries I grabbed two big Idaho potatoes and cut them small drizzling a small amount evoo, onion powder, garlic powder, parsley, a sprinkle of seasoning salt and pepper to taste. I baked them in the oven until crispy at 375 stirring them every few minutes so they wouldn’t burn. Fruit isn’t pictured here but generally I prepare it for our family to eat throughout the day breakfast, lunch, and snacks. Live Fit how do you eat smart during the holidays? 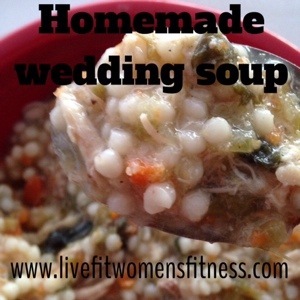 Please share your comments and healthy quick recipes with us below in the comments. I hope you find this information helpful and are able to apply it to your life as you enjoy this holiday season. The Fitness Professional’s Manual Third Edition by National Exercise Trainers Association; was referenced when writing this post. To all of those who have supported us and followed our journey on my fitness website and social media with our sweet and precious daughter Angelina Hope, I am saddened to share that she has passed into the loving arms of Jesus on May 25th, 2014. (Due to heart complications with her hypertrophic cardiomyopathy ) I was hesitant about sharing this journey, God has boldly placed this on my heart over the last year, and am overjoyed as I have finally opened up my computer to find a small story on Angelina’s life. 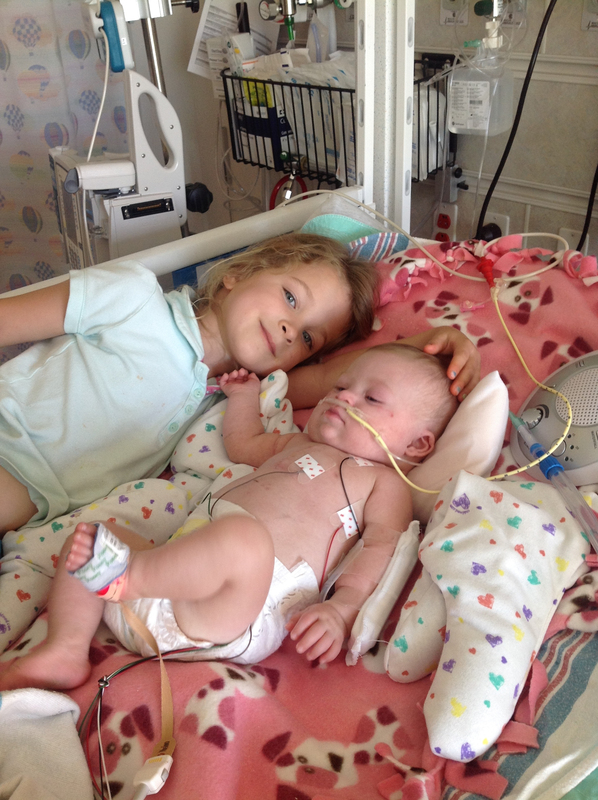 A story that we can continue to share, to bring hope, to have for Ava and Amelia as they get older to read and to reflect on during the healing process. The texts, e-mails, and messages have helped carry us through these past 5 months and are appreciated beyond words. 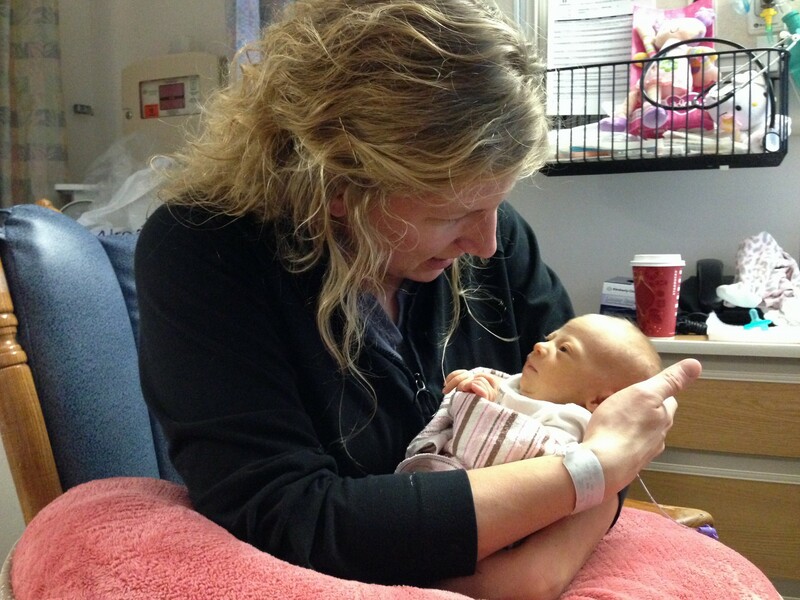 To the nurses who cared for Angelina, thank you isn’t enough. We have received countless messages about how Angelina’s story has impacted lives, mended relationships, and brought people closer to our Lord Jesus Christ.Here is what’s been on my heart this month.I can’t believe it’s November.With every falling leaf, deep blue October sky and for some reason those extremely strong scented pine cones that giant eagle and Marc’s put out two months before Christmas I am reminded constantly of our dear sweet Angelina. It was this time last year that I was heading to the Doctor every 2-3 days. We knew of Angelina’s congenital heart defects and possible down syndrome diagnosis. I remember last fall as if it was just yesterday. The memories bring a flood of constant emotion that I can’t explain. I remember canning 20 jars of salsa, tomato soup, yellow peppers and pizza sauce saying to myself. “We can do this, God wouldn’t give us anything we can’t handle.” It’s how I got through, constant prayer and faith. I asked God to protect Angelina in the womb and after she was born. I asked him to give us all strength, for our path was uncertain with our sweet baby. We were beyond thrilled to meet our little bundle of joy. I remember the first time Angelina locked eyes with me. Angelina had the most incredible deep blue eyes with tiny white spots around the outer part of her iris ( called brushfield spots which can be seen in children with down syndrome). It was as if she looked deep into my soul and just knew me (something my mom would also often say as well as a special friend of mine). Angelina had a way about her, she could speak without even saying a word. I remember really struggling that first night. I wanted Angelina to be in our hospital room and not in the NICU. I wanted to be able to snuggle her and nurse her. I was unable to. It was in that moment that I went and stayed with her and fed her through a little syringe while she was in an incubator. It was those first moments with her in the middle of the night, after a 12 hour labor and walking the halls of the hospital during my induction (refusing an epidural because I wanted to be there for her after labor) and the most tired and emotional state of my life that Angelina taught me how to love. A love that runs so deep, a love that is unconditional, and a love that is everlasting. This type of love exhibits how Christ loves us. We loved on Angelina as we began to get to know her. We never allowed her extra chromosome to define her and will continue to take a stance to share her story and spread awareness. 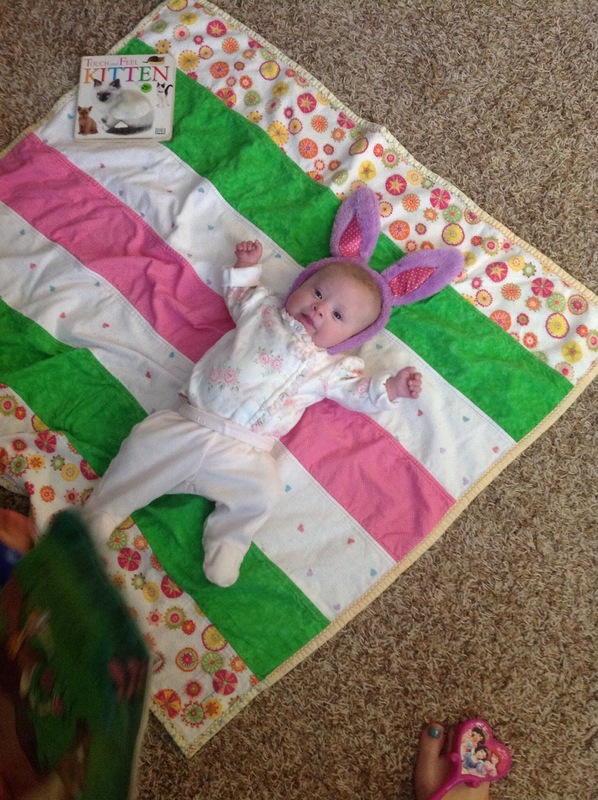 She was our daughter that happened to have one amazing extra chromosome. She had the cutest chubbiest neck, a crazy toe (two conjoined toes), a sweet little tongue that always was sticking out at us(which we LOVED and miss so much) and was the most incredible snuggler. She was the most pleasant little baby to be around. Amidst the storms during her life, her countless doctors appointments, an urgent hospital stay, a rare and complex diagnosis that was unexpected and an open heart surgery reflecting back Dennis and I constantly say to each other that this was Angelina’s journey “ You formed me in my inward parts; you covered me in my mother’s womb. I will praise you, for I am fearfully and wonderfully made; marvelous are your works and that my soul knows very well. My frame was not hidden from you, when I was made in secret, and skillfully wrought in the lowest parts of the earth. Your eyes saw my substance, being yet unformed. And in your book they all were written, the days fashioned for me, when as yet there were none of them.” -Psalm 139:13-16, how God intricately formed her and she brought so much joy to our lives and continues to do so. This is part of our family’s story. Which is part of God’s plans for our life which is a part of something so much bigger. When I think about our family and how close Angelina has brought all of us, it truly brings me to my knees in a utter state of emotion. Helping us, being there for us, and supporting our every step. They loved on Angelina in such a remarkable way. That little girl is so loved and will continued to always be loved. 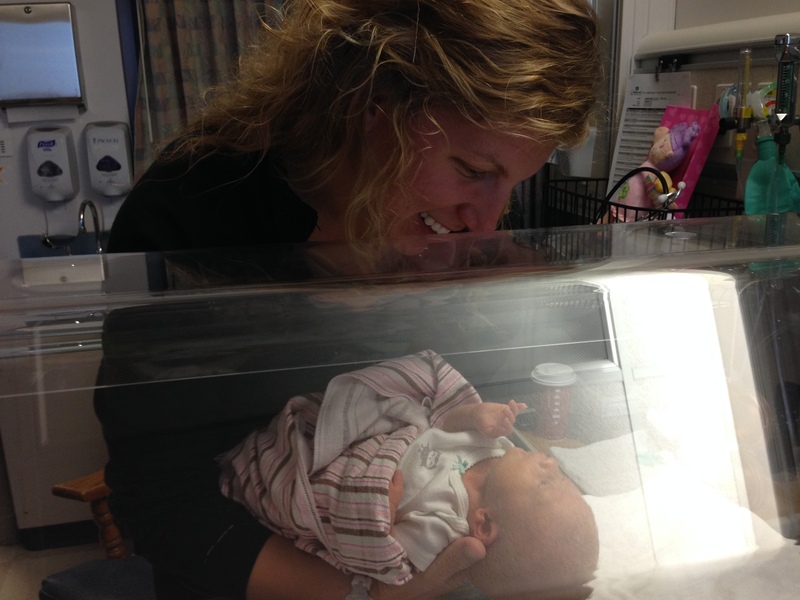 I chuckle as I recall a time that my sister-in-law came to the hospital and stayed with me in the NICU. I was going on 20 days of not a lot of sleep, never recovering from childbirth and we both slept in Angelina’s room” well tried at least”. Monitors buzzing, pumping, the squeaky chairs, a crazy floor, constant commotion, and Angelina topped it off with pulling out her feeding tube at 2am. We laughed together most of the night as we come to a point of over tiredness. She was such a feisty little thing that night. I chuckle when I remember Dennis famous last words. 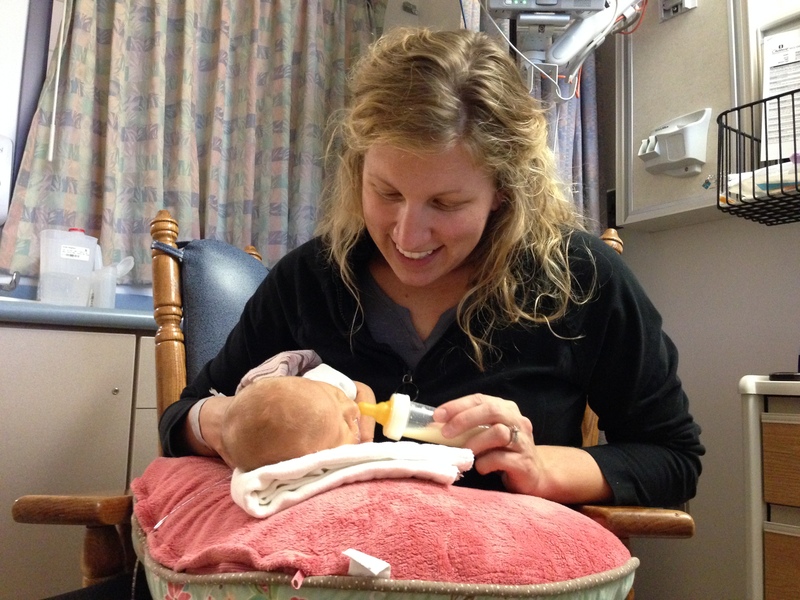 “She’s a VOLPE, SHE DOESN’T NEED A FEEDING TUBE.” She indeed learned to eat a bottle on her own with lots of patience and help from amazing therapists. Which brings me to my next thought. Ava and Amelia shared a bond with Angelina that I can’t describe. The last week of Angelina’s life she was extremely fussy and uncomfortable. My mom was able to see Angelina completely change her mood the moment Ava and Amelia entered the room at the hospital. She stopped crying the moment she heard their voices and completely turned her body around reaching for Ava. Ava was able to get in bed with Angelina and bring her so much comfort that day. These are the moments that we cherish. These and countless other memories are how we remember our sweet baby girl. In Angelina’s final days I came to a realization that hope isn’t how we want situation and circumstances to turn out. Hope is placing your total trust in Jesus. Hope is trusting that his hand is upon any trial, suffering or situation in our lives. Life in this world is tough and by hoping in Christ and being in constant relation with him, we are able to find the strength no matter what hardship comes our way to venture the path he has laid before us and our final stop is heaven. For the rest of my days I will never ever forget what Dennis brother said to us the night Angelina gained her wings and entered the gates of heaven. “She did in 6 months what it takes most people to accomplish in a lifetime.” “Honor her memory by how she changed you.” We will spend our days honoring Angelina’s life by how she indeed radically changed our lens of thinking. Seeing life with such a different perspective. I recently have been on a reading kick during this season and am reading a book called: Restless By: Jennie Allen. Jennie writes this: ” Sure our stories lead us toward our purposes, but they also make us into people strong enough to fulfill our purposes. To build a picture of your story-the events that have shaped you-is a powerful and beautiful thing”. This is Angelina Hope’s story. When we reflect and look back on Angelina’s life there was so much purpose, strength and beauty in her life. Each day we think about you every moment little girl, and will continue to, until we join you and hold you again in heaven. Little girl your life was filled with so much beauty. You left such beauty in your ashes. We miss you more than words can describe. We are trying to figure out what our new normal looks like without you. We love you so much. I can remember four short years ago when my husband and I were searching for a house to buy. We looked for quite sometime and at times I would feel hopeless. We were looking for a small bungalo that we could make our own. We wanted a large yard and had picked out a few different school districts that we wanted to be in. We went home that night and kept looking at the pictures online and my husband began to come up with a list of idea’s of the variety of things he could do to fix up this little old farm house and make it our own. God was on our side that Thanksgiving as we placed our bid and took a leap of faith buying a house that had all it’s copper plumbing cut out and stolen. We weren’t able to move in right away and we had a lot of work on our hands. With the help of a extremely loving and helpful family on both of our sides we started chipping away at our little old farm house. first we stripped everything out of this house, demoed walls, drywalled, painted, put in hardwood floors, and new carpets. The upstairs bathroom looked like the color of boogers. We gutted each bathroom and remodeled those. We added a little barn off the garage for Dennis to use as a place where he could work on his carpentry projects. The outside needed a lot of TLC as well and each summer we work on something making improvements and creating it a place for our family. Throughout this process we have learned a lot about patience, wise spending, and that although we want our house to be completed we need to remember what comes first in the hustle and bustle of life. I can remember on several occasions being a little angry that it wasn’t finished. Complaining to my husband and well being a bit of a demanding wife. I want this finished! It felt hopeless! Dennis always reminded me and still does that it will someday be finished but first and foremost is our relationship with God and secondly family. Dennis has shown me that life is not all about completing tasks but about the delicacy of family. I have never met a person who unconditionally at any moment will leave anything and everything he is doing to go help anyone who is calling on the telephone. He is an incredible example of how we should live our life out for Christ. We have been cooped up in this little bungalo for six long months. Due to Angelina’s heart condition they recommended we keep her away from sickness to help keep her healthy for surgery. You can read more about our journey with our third daughter in these posts: Angelina’s Journey, Angelina’s Journey, Angelina’s Journey , Angelina’s Journey For almost SIX MONTHS. Yes, we have been COOPED up in this house. It’s been incredibly hard to put our life on hold and I have felt many days of hopelessness. Until one day as I was sitting in my glider feeding Angelina God blessed me with a new way of thinking about this little bungalo. Angelina has impacted our lives in so many ways. This one particular way I thank her for. All that time I spent feeling hopeless and worrying about things that really aren’t to important in the scheme of things. After that moment it’s like my mind was cleared of this particular way of thinking and a rush of memories flood my mind as I perform the day to day tasks around this little bungalo. The Simple Things. It’s a little trinket we have had our house for a long time. Dennis and I have always decided that we wanted to live our life out by this motto. Was it true because I know he had been doing it but had I? Angelina had taught me to begin to learn how to appreciate the simple things in life. Instead of looking around our house and thinking man I wish our kitchen was finished and what the next task at hand is I see what life we have brought this little house. Pictures filling the walls of Ava as a baby. She was only 18 months when we moved in here. Months later I would become pregnant with Amelia. Spaghetti fingers prints on our white wood work, scratches on the hardwood floor from Ava and Amelia riding their bikes around the house, memories of the long nights Dennis and I would work on the house together talking and enjoying being together, many wrestling matches with the girls before bed, daily squeals when someone is in the driveway for a visit, the pitter patter of tiny footprints on the hardwood floor, and diapers crunching as they headed downstairs in the morning, countless pots of spaghetti sauce splattered all over kitchen burners, packing the whole family and children in our little house for family get togethers, i can recall being in labor with Amelia as I walked thru our kitchen to dinning room and living room for 3-4 hours before heading to the hospital, stories read and craft time, the girls reminding me that it was time to workout, our chickens, campfires, and I could go on. These things I hold so dear to my heart these days. This home has been a safe haven for us. I recall the day we got Angelina’s diagnosis and not being able to move from the couch, packing my bags the night before I was induced, fear, anxiety, and heart ace. I can remember how scared I was to bring her home for the first time in fear she would stop breathing, that I would screw up her medications, and that I would not be able to care for her. I had many moments of feeling like I could not care for her in the beginning. Moments of “How Am I Going to Do This?” Moments of pure hopelessness. It’s as if our lives were in a snowglobe and instead of shaking it up someone has thrown the globe on the ground and the snow globe is completely turned upside down. Everything we once knew in life has been drastically changed. We have made it through an incredibly tough time in our lives. This little bungalo has become more then a home to me but the place that we are raising and nurturing our family. I thank that little girl each day for the amazing things she has done in her short time on the earth. 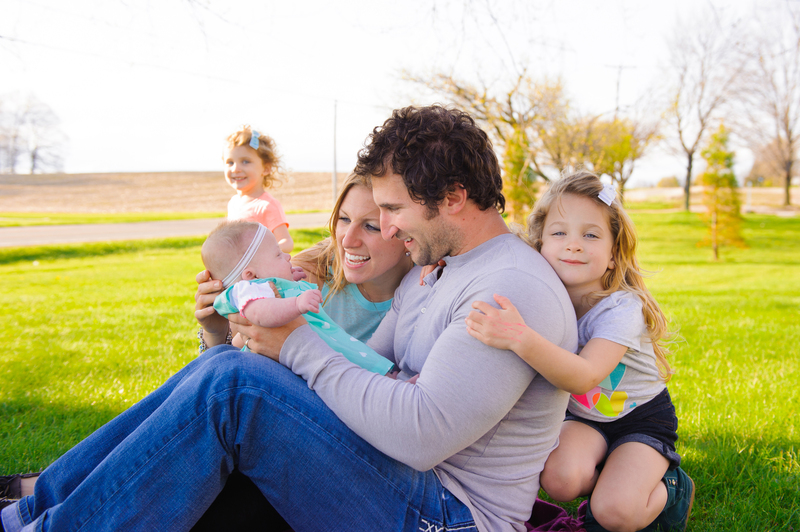 Relationships that have formed because of her, learning how to thrive in a season of challenge, enjoying the simple things this life has to offer through our relationship with Christ family, and friends. I thank her for bringing my brothers girlfriend into the family 🙂 (they met each other as she was Angelina’s nurse practitioner at the hospital), I thank her for helping me realize that our life is to short here on earth to feel hopeless and worry about things that we can’t even control. I thank her because each part our lives has been designed by Christ for our calling here on earth and to shape, form, and mold us to become more like him. Angelina is about to start the next journey in her life. She will get her new heart on Monday May 5th. We are both excited and scared for this next part of her life to begin. Isn’t it crazy how we finally got comfortable right where we are and we are about to witness our daughter have a major surgery. To our family, friends, church body who have abundantly taken care of us in ways that we can’t even bring to words your support never goes unoticed, ever. My prayer this morning is for Angelina to have total healing in her heart and to continue to spread Hope to those around her and to a world full of brokeness. “The Lord is my portion.” Says my soul, “Therefore I have hope in him.” The Lord is good to those who wait for him, to the person who seeks him. It is good that he waits silently for the salvation of The Lord”. Today marks our very first World Down Syndrome Day! We are so excited that Angelina is smiling and laughing! She is four months old and growing up to fast! World Down Syndrome day is a day in which people with down syndrome are celebrated across the world! It’s celebrated on the 21st day of the third month to symbolize the third copy of the 21st chromosome known as trisomy 21. World Down syndrome day is celebrated across the globe to spread the awareness, support, and to generate the well-being of people with downs syndrome. Many activities and events are planned to help communities understand what down syndrome is and how down syndrome people play such a big part in our lives! It gives people with down syndrome a voice to educate others on how they are uniquely created. It’s been over six months now since we found out on that hot late August afternoon that Angelina could possibly have down syndrome. I’ll never forget texting my husband Dennis as I sat in our van telling him the news. I was in denial. This could not happen and would not happen to us. I won’t be able to handle this. I am going to have a child that never leaves the nest. These were the selfish thoughts that circled in my mind and kept running over and over those first few weeks. I remember crying on the phone with Dennis while he was on his way home from work that evening. I thought my life had ended. I couldn’t breathe and everything that was once clear now seemed like a fog constantly surrounding my life. As I sit here seven months later. The fog is starting to clear out and our new normal is starting to take focus. Our journey with down syndrome has just begun but my life hasn’t ended and I am pretty much certain we are SO excited to have a little girl by our side who we are going to call our “little Hope” for the rest of our days. I still have my days were things are really tough, I don’t feel like facing anyone, anything, except my baby girls, a bathrobe, possibly a workout and a cup of coffee. I have my incredibly amazing days with Angelina. Days in which she meets a small milestone (I cry), when she smiles, laughs, being able to watch my incredible husband care and bond with her, our snuggles (oh she is so sweet), we can’t forget that crazy tongue :p and most importantly the time spent as a family together just loving on this little girl. The mundane things we used to do as a family seem so much more meaningful. Angelina you have made us appreciate the simple things in life. Our Friday night homemade pizza night, a movie with the girls, and ice cream. How I long for this evening in which we can all relax together and hangout as a family. My girls, oh my triple A’s! Ava your passion for living and how you have to be alongside me every step of the day (sometimes irritating) but we wouldn’t want you any other way. Amelia the perfect middle child who dances to her own tune, brings us constant humor during the really tough days and goes with the flow. 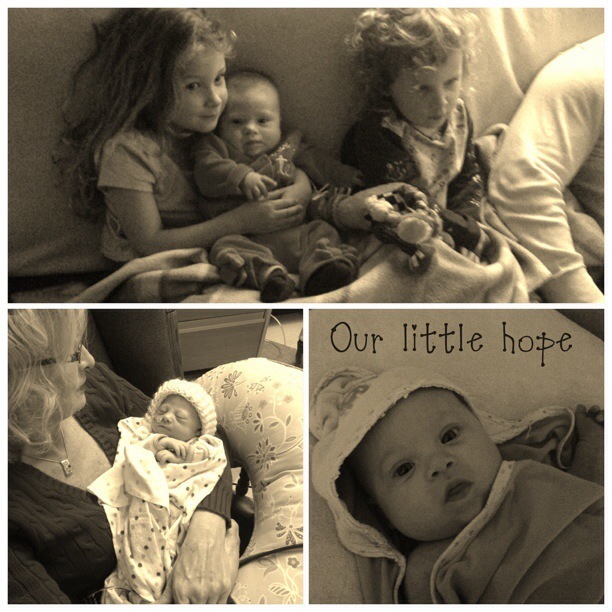 God knew the perfect birth order for our family of three girls. My 6am and 9am coffee date with you little girl is the best. I never know if I am going to get the all star bottle drinker or the tongue slashing wild and crazy bottle drinker. This is usually accompanied by a quick workout in between and two other little girls running around the house. Watching your facial expressions while you drink your bottle and your sisters fight right by your ear cracks me up.The way you study my face and raise your little eye brows melts my heart on a constant basis. I wish I really knew what you were thinking during those crazy sister fights and as you study our faces daily. Little girl I have such a driving force in me during this season to spread awareness about down syndrome. To stand up and advocate. To share our journey with down syndrome to help the next person who is blessed with a down syndrome child. To help mothers with special needs children find time to take care for themselves through both spritiual and physical fitness to be able to better care for their children and families. My prayer today is for all the mothers who sit in a hospital NICU room with their child who has recently been diagnosed with Down Syndrome. My heart aches for you, those three weeks as I sat next to Angelina’s bedside my mind just spun in a million different directions. I pray that they can enjoy the simple mundane things and the moment to moment things in life that are gifted to us by our creator. Our little Hope we look forward to celebrating World Down Syndrome Day for many countless years with you. Happy 1st World Down Syndrome Day. Once the middle of March hits the excitement that my treadmill brought me at the beginning of January usually begins to slowly loose it’s luster. At first it’s exciting to start back into a new training plan and over time things start to get a little mundane. This is when I like to spice things up in my running routine. 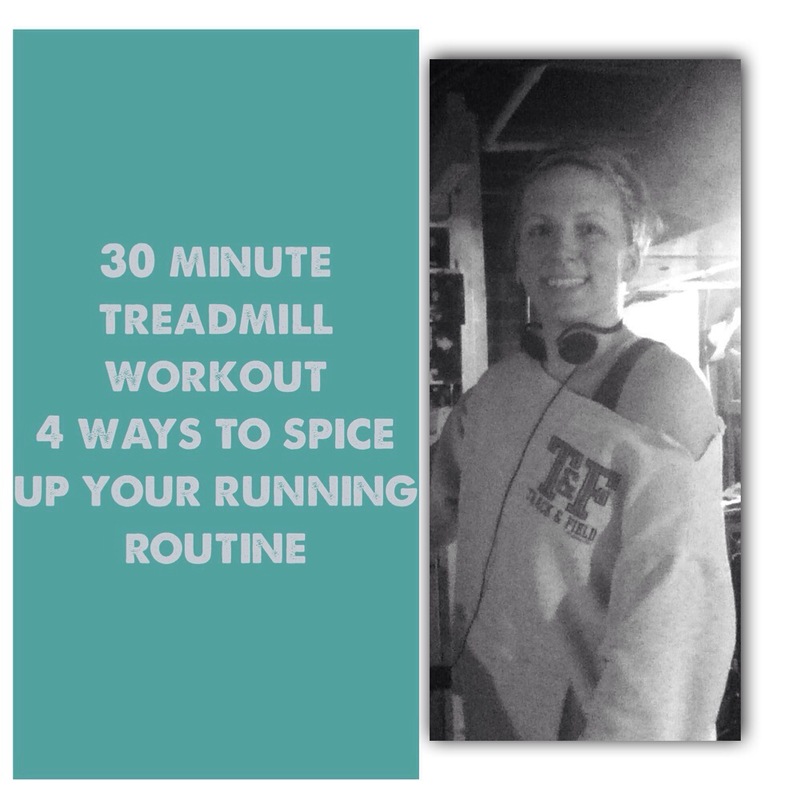 It depends exactly what my goals are during the specific season of life I am in, but over the years these four ways to spice up your running routine listed below have always left me continuing to love my treadmill instead of dreading it after my 30 minute treadmill workout is completed. The 2011 American college of Sports Medicine guidelines recommend either doing 30 minutes moderate-to-intense cardio workout at a pace that works up a light sweat, fives days a week or a 20 minute vigorously intense cardio workout three days a week. If you are looking to loose weight and improve your fitness level 30-60 minutes of moderate-to-physical activity five times a week is necessary. Benefits of a 30 minute treadmill workout is boosting the health of your heart, increasing your all around cardio fitness, burns calories and fat (helping you loose or manage your weight), increases energy levels, and helps with stress. This past winter I have been trying to ease back into my workout plan and shed around 25 pounds I gained from the birth of my third child. I have slowly worked my way back into running and started walking 15 minutes and jogging for a few minutes and gradually have worked myself back up to 30 minutes. You can adjust your speed to where you feel comfortable using each of the four ways to spice up your running routine listed below (listen to your body and start gradually). Over time make sure that these four ways to spice up your running routine seem challenging. What happens as we begin to get stronger and more fit our bodies begin to adapt to our training program. This often leaves us not seeing the results that we are hoping and decreases our perseverance in our training plan. This is when you can adjust that speed dial to a faster and more challenging speed (I look at is as graduating to the next level, which is a huge deal showing consistency and hard work!). It’s important to apply the overload principle and change up your workouts every 6-8 weeks. When exposing our body to the overload it makes it work harder then it normally would have to work, improving our fitness level and helping to prevent our bodies from plateau. Plateau happens when we constantly do the exact same workout for weeks at a time. Over time our bodies start to adapt to our workouts and we won’t see the results we once saw in the beginning. Changing up your workouts help you challenge your body in different ways, reduces chance of over-use, and injury. 1.15 Minutes- moderately hard in which you could have conversation if you were running with someone and the last 15 minutes pick up the pace to were you are unable to hold that conversation. I do this often on Monday morning after the weekend when I feel tired and unmotivated. I give my body about 15 minutes of getting back into the groove for the week and then the last 15 minutes I hit it hard. This is also a great way to train your body to become stronger at the end of the race or workout, really burn some calories fast, and to help change over foot speed and pace if your training for road races . 2. Circuit your running. I use this midweek when a 30 minute treadmill workout just seems like to long to be on my treadmill. I’ll do 5 minutes on the treadmill, 1 minute explosive plyo-metric drill (jumping jacks, box jumps, high knee’s) followed by a set of lifting (depending on the day back and biceps, chest and tricep or legs and shoulders), followed by 2-3 minutes of lifting. I will circuit this until I have completed 30 minutes on my treadmill. 3. Interval using a 3:1 ratio. I will run three minutes hard and run comfortably hard for a minute to allow some recovery time. Repeat until you’ve reached 30 minutes. 4. Hill repeats. I will use the incline and run a pretend hill every 5 minutes for a minute or instead of hills just run quick bursts of sprints throughout the duration of the workout. doing this for 30 seconds at a time. Each of these 30 minute treadmill workouts have really helped me beat boredom and make those thirty minutes of cardio conditioning fly by! What’s your favorite thirty minute treadmill workout?